What could one do to while away a gray day? Put something dark and interesting on Netflix, brew a pot of coffee or tea, light a fire in your fireplace and settle in to create something hauntingly beautiful. Baidecor's 3D Bran Castle puzzle (from Amazon) has just 93 pieces. Bet it would take two teapots of Earl Grey tea for me to finish this! 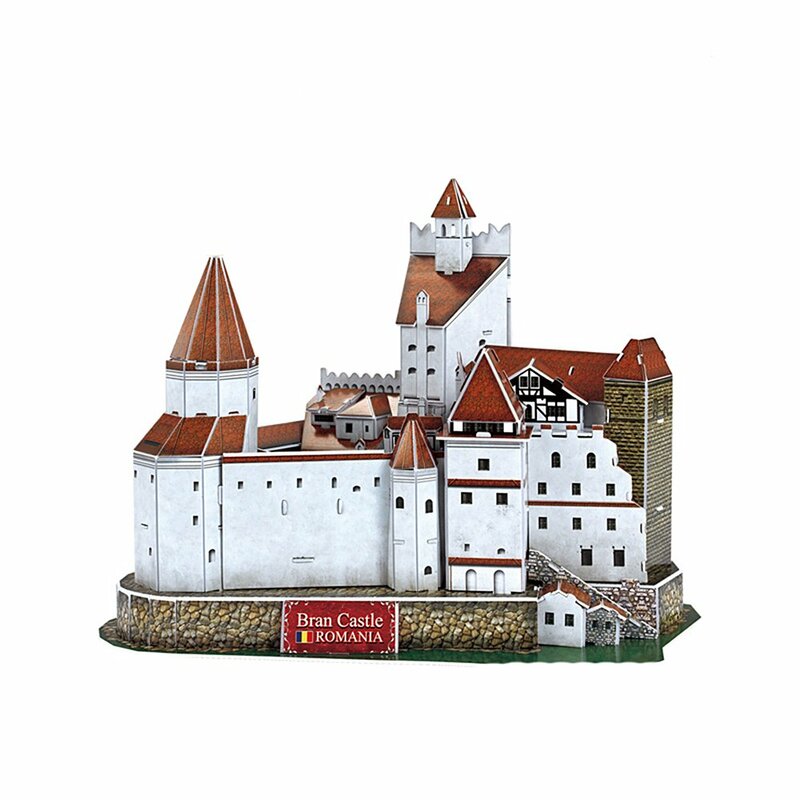 You can find the incredibly difficult, highly detailed Puzz 3D Dracula's Castle puzzle on eBay. The puzzle includes 700 pieces. 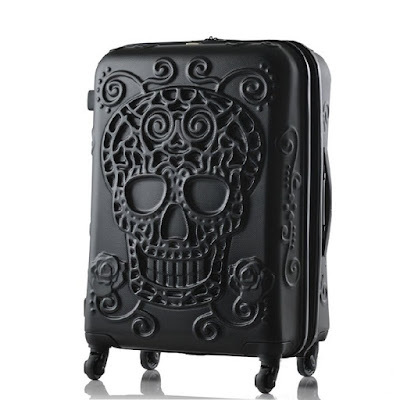 If I were to put this together, I'd keep it on my coffee table or dining table for months, as a conversation piece! 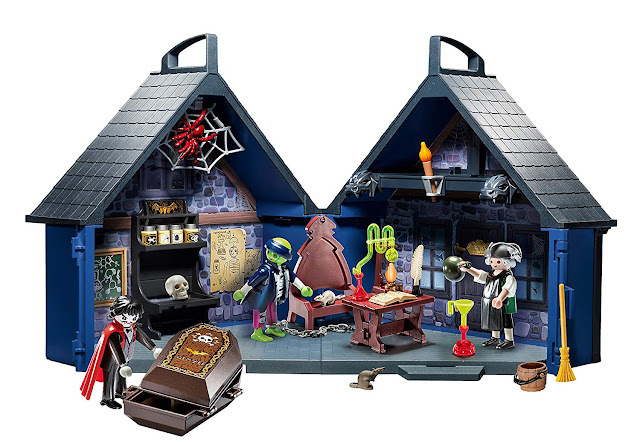 This Dracula and Bat Building Kit (via Amazon) is a 150-piece building set from LEGO. 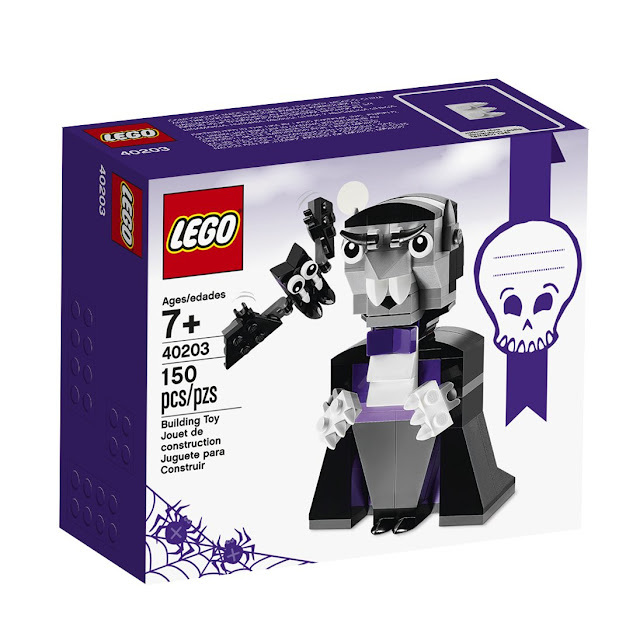 I'm giggling at Dracula's purple bow tie and the silly fangs on both figures. 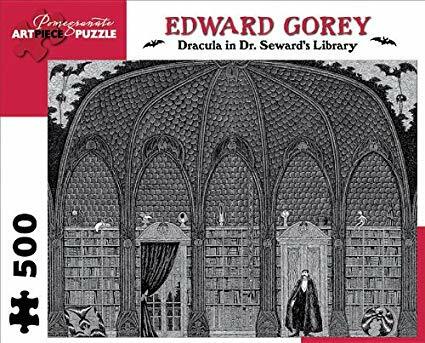 Pomegranate published this 500-piece Edward Gorey jigsaw puzzle (via Amazon) depicting "Dracula in Dr. Seward's Library." 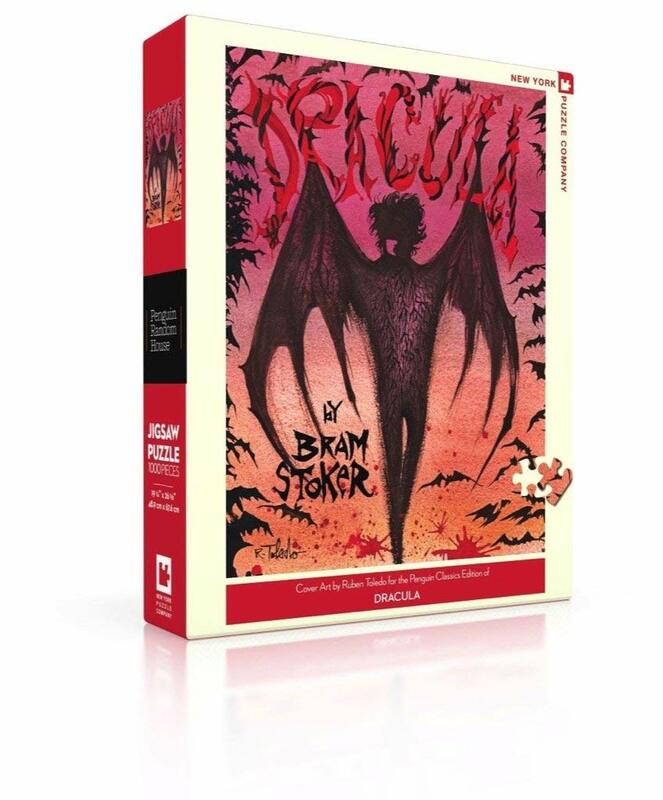 New York Puzzles created this 1000-piece Dracula jigsaw puzzle (via Amazon) based on Penguin Random House's book cover. (I admit, 1000 pieces would challenge my patience level for this sort of thing). Here's a retro take on a Bran castle puzzle. 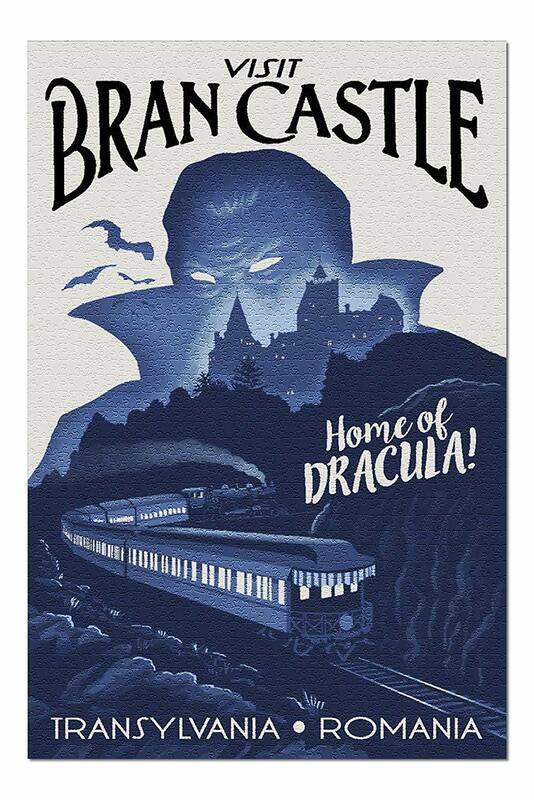 It's a 1000 piece puzzle, available at Amazon. 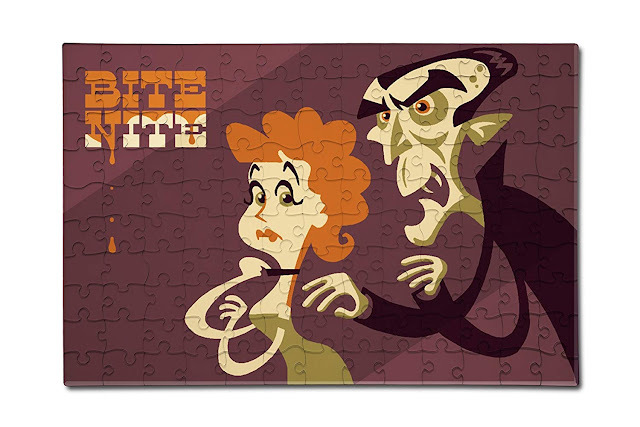 "Bite Nite" is another retro take on a Dracula puzzle. 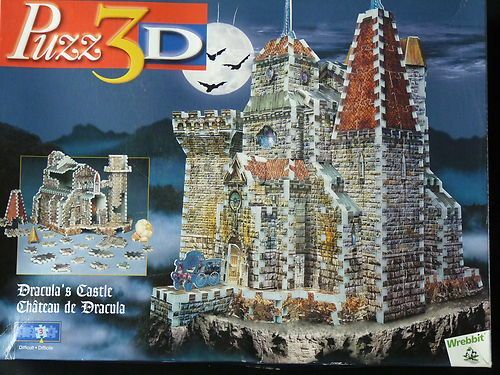 It should be pretty easy, as it has only 130 pieces.